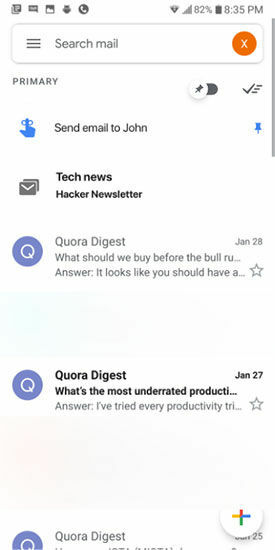 A leaked screenshot from an internal Gmail testing app has revealed three new features that could be coming to Gmail in some time. Google internally testing new features for Gmail. Testing is in very early stages. Leaked screenshot shows only one of many testing apps. In September of 2018, Google had announced that it would be shutting down Inbox in March 2019. The reason given was that there was too much of feature overlap between Inbox and Gmail. Since then, we’ve seen more and more features migrate from Inbox to Gmail, such as smart replies and most recently, the Material Design. Now a Redditor has shared a screenshot of some new features that Google is allegedly testing internally. The screenshot shared is from a revamped version of the Gmail app, being tested internally. The screenshot shared by the Reddit user along with his post shows three distinct new features being tested. The first is Bundles, a feature that clubs emails based on the nature of the topic. We already have this categorization in Gmail, but the Inbox-feature allows for mass archiving of emails. For example, if you have too many emails from tourism companies, you can mass archive them in one swipe instead of having to go through a multiple-step process. The second feature in the app screenshot is the ability to display only pinned items. The third feature spotted is the ability to quickly create reminders and schedules. This last one isn’t lifted from Inbox, but potentially from Google Tasks, but there is no knowing until the feature actually rolls out. The Redditor who posted the screenshot says that the screenshot is from one of many versions being tested right now and is in no way final or even indicative of the final product. In addition to that, he also says that the experiments are in very early stages. 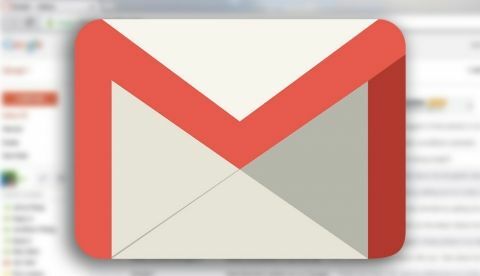 Google has been working on revamping Gmail over the last year, having brought a number of interesting features to the e-mail service slowly, but steadily. The recent most update was the switch to the Material design theme, which brought a whole new level of aesthetics to the e-mail service. Will the new Moto G be better than the previous one?